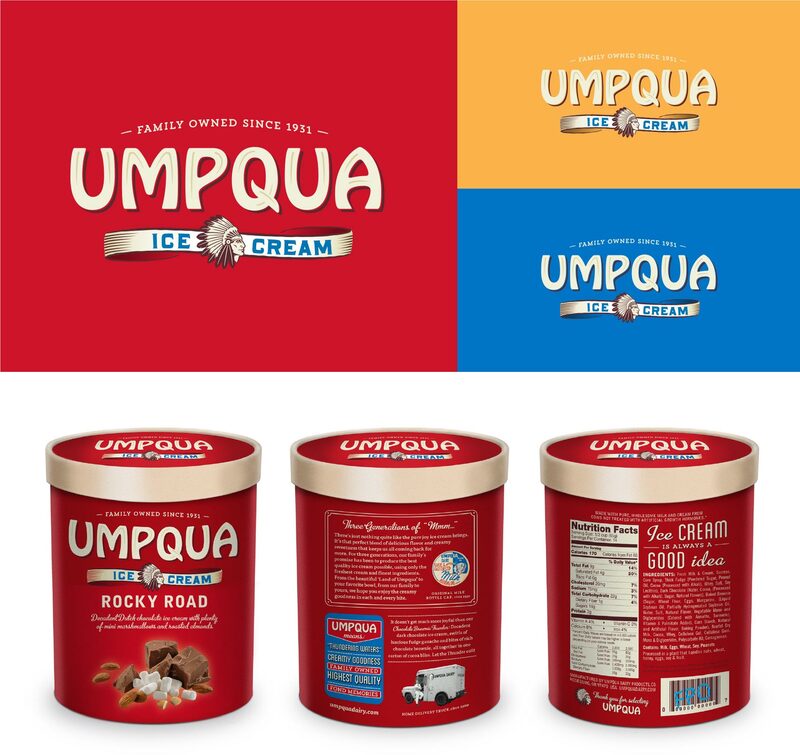 Umpqua Dairy began producing fresh, high quality ice cream in 1931 from a little wooden home in Roseburg, Oregon. Three generations later, the family owned business had built a trusted brand using a well recognized line of cartons that, unfortunately, weren’t reflective of the company’s modern personality. 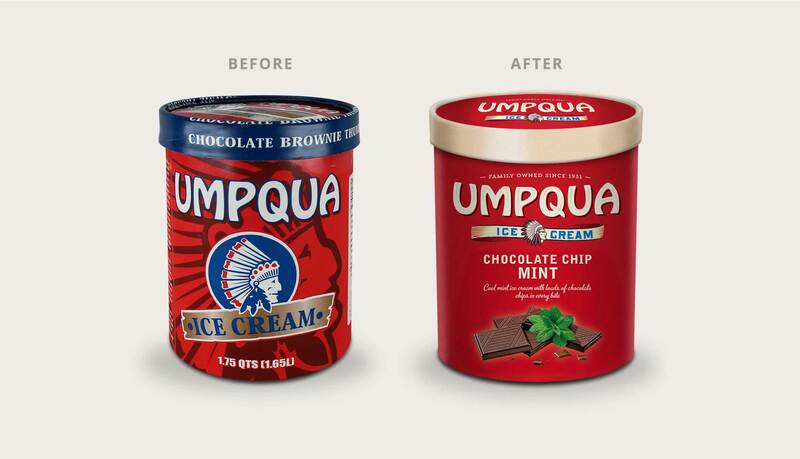 A packaging refresh was in order, and it needed to attract new first-time buyers while retaining Umpqua’s fiercely loyal fans. Consumers have grown more intentional with their purchasing decisions, choosing to buy products from brands whose stories they feel emotionally connected with. Knowing this, we felt it was important to first identify Umpqua’s brand attributes to figure out the stories we should be telling though their new packaging. What came out of this exercise was a richer understanding of Umpqua’s heritage, which we scooped up to use as inspiration for the package redesign process, and later, brand story development. Our design team undertook the task of revisioning the iconic packaging and recognizable Indian head logo that had been the mark of Umpqua Dairy since the 1940’s. They chose to redraw the logo with a modern eye and give it in a new home on the front of each carton, leaving room for descriptive flavor profiles that would leave buyers licking their lips. Our copywriters then topped the project off with the introduction of a new brand story, which was placed on the sidewall of each carton to provide consumers with the emotional touchpoint they were seeking to form a deeper connection. Umpqua Dairy has been seeing pretty sweet results. Consumers have been loving the new packaging, creating an immediate growth in sales when comparing year to date. After seeing great success with the ice cream redesign, Umpqua chose to move forward with a refresh of their sub-brands of ice cream including No Sugar Added, Premium Lite Ice Cream, Nonfat Frozen Yogurt and Sherbet.